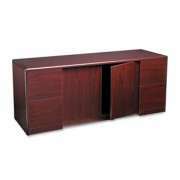 Add flair to your office while keeping it organized with a high-quality credenza from Hertz Furniture. 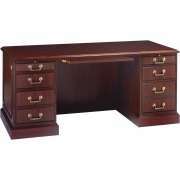 Whether your are the president of the company, the principal of the school or a junior associate, you are sure to appreciate the convenience of having an office credenza in your work space. What is the difference between a desk and a credenza? 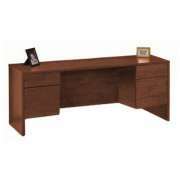 Like desks, computer credenzas and storage credenzas have user-friendly features, however they are more compact and serve as an auxiliary work and storage space. 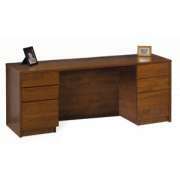 Whether your office is large or small, classic or contemporary, Hertz Furniture has a credenza to fit your taste and budget. What kind of credenza should I get? Any model will be convenient in the workplace, but the ideal credenza depends on what you need extra space for. When you need room for larger office equipment, electronics or reference materials, a storage credenza will get the job done right. While there are a lot of office storage solutions, a credenza is optimal because it has an attractive professional appearance and won&apos;t make your office feel cluttered. If you need extra space above, you can get a matching hutch that rests on the surface of a credenza. How can I get functional office storage? Fitting everything you need in an office desk can be quite a challenge. Even with a large work surface, a busy executive can easily find himself with a cluttered desktop and a desperate need for more space. 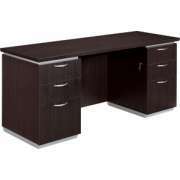 A kneespace credenza can fit right behind an executive desk, so a professional can simply swivel around and access the auxiliary work surface. Because a computer credenza looks so much like a desk, it will simply form a natural extension to your other office furniture and fit in seamlessly with the decor. Where should I put the extra computer in my office? While many work environments require each employee to have their own computer, it can sometimes be helpful to have an extra computer desk around. 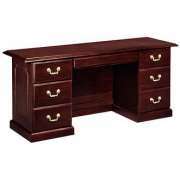 Rather than taking up lots of space for something that is only used on a temporary basis, a computer credenza provides an additional workstation without taking up too much room. For maximum convenience and an open space, many have built-in keyboard trays. Some models even include CPU holders. 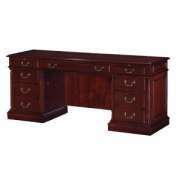 Instead of having a second computer on a shelf where it is hard to access or cluttering up the main desk in an executive office, an office credenza lets you keep devices in a comfortable workspace where they will look good and still be easy to access. 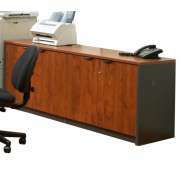 How much storage does an office credenza offer? 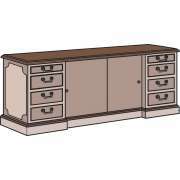 The features of your credenza will determine how useful it is. Most models include some kind of storage space which is usually comprised of cabinet space or drawers. Drawers come in box and file styles, so the right kind will depend on what you need to store. If you want to ensure that your belongings and information remain secure, it is important to purchase a model that features locking storage. 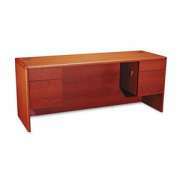 For those who want an office credenza with display space, there are models available with open shelving. 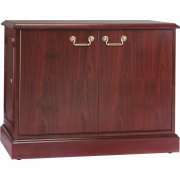 Storage credenzas with sliding doors are ideal for large electronics and other bulky items that you need to keep on hand but don&apos;t necessarily want on display. 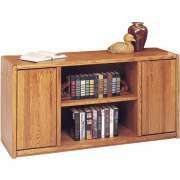 Credenza file cabinets are great for all kinds of storage. They keep important documents organized, but they often include cabinets for other items as well. 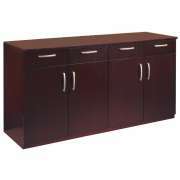 Credenza file cabinets are lower than other file options so they blend in more with your other office furniture. If you keep one right behind the main desk, a professional can swivel around to retrieve files without even having to get out of their chair. Where should I keep coffee and appliances for the office? Finding office furniture that looks professional and is designed to hold food-related items can be tricky. If you try to get something that is not specifically designed for food or not designed for an office, you will likely find that it doesn&apos;t really fulfill your needs. 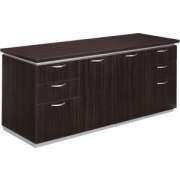 An office buffet credenza is just the thing you need for appliances in the staff lounge or coffee and cake for the meeting. 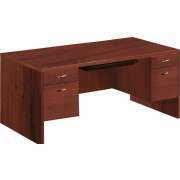 It is specifically designed to have a professional appearance so it won&apos;t disrupt the office decor. What sets a credenza apart from storage that is not designed for a professional environment is an elegant appearance and high-class style. 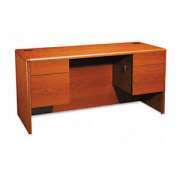 Our office credenzas come in modern and classic styles. Many of them are even part of larger office furniture collections from leading manufacturers including DMI, Mayline, High Point, HON and Martin Furniture. 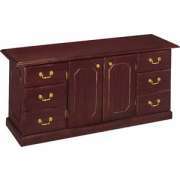 They come in stately hues and sleek colors with classy drawer pulls and attractive, unique accents. 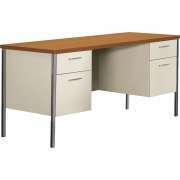 Add some flair and storage to your workspace with one of Hertz Furniture&apos;s office credenzas. 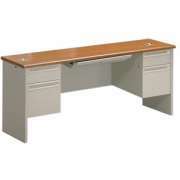 Professional designs and convenient features will enhance your office on both a physical and functional level. Overwhelmed by all of the possibilities? Contact the Hertz Design Center today for free design and project-planning advice.